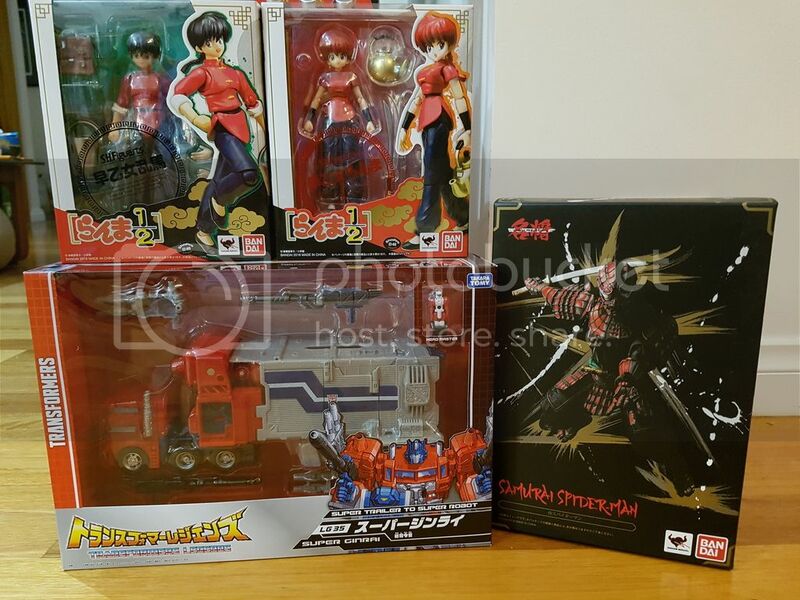 Finally shipped of my HLJ loot pile the other day. LG Super Ginrai finally! The other figs hitched a ride in the box. How many are you up to? Five... (With 3 more on the way from China). Cool G1 Optimus tee shirt and a Hot Rod from K-Mart. Nice, I'm currently at 6 with another 10 making their way from China as well. Love it to bits. If I hadn't got it around the same time as FT Sovereign, I'd be even happier, but Sovereign is stealing the spotlight! A loose Transformers Adventures Swoop (Animated redeco) for the dinosaur-fan son of some people I was helping learn English back in Tassie, and a BWII Thrust for me. For some reason the store had ~10 MIB Thrusts all for sale at 1000 yen. Now to look for a BWII Dirge to keep him company. Not a heap of TFs in Akihabara btw, I'll try the Mandarake stores in Shibuya and Nakano tomorrow. 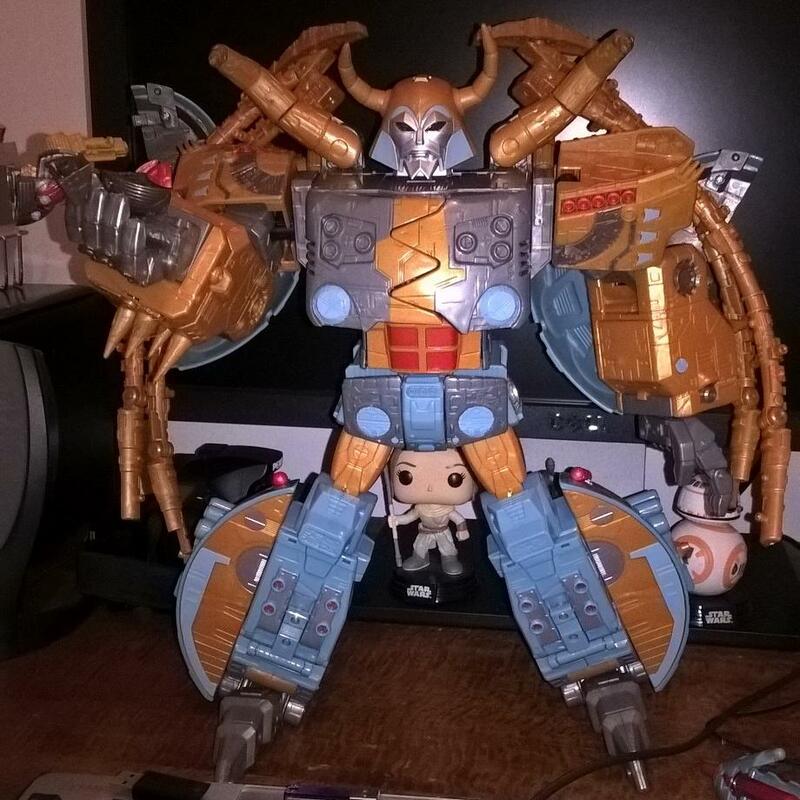 picked up my platinum edition Unicron. the box looks amazing. I hope we can get that artwork as a high-res image like they did with the bus stop posters. All times are GMT +10. The time now is 02:22 PM.